Excited and methodical. “The more time I spend with maths, the more excited I get,” and yet Mirzakhani described herself as slow. She was not the flashy eureka moment kind of scientist, but tackled hard problems which took months and years and even a decade. She said, “Months or years later, you see very different aspects,” and one may still not have answers but one has to keep at it. Dr Mirzakhani said, “You have to spend some energy and effort to see the beauty of math.” And the learning was crucial to her, the fascination as things unfolded. Pioneering in more ways than just tackling geodesic surfaces, she unwittingly also became the first woman to be featured in Iran’s newspaper Hamshahri without a hijab (interestingly, in 2014 when she won the Fields award, the newspaper touched up her photo to include a hijab). She was not sure if she would be able to make it for the Fields Medal award ceremony as she was undergoing treatment for her cancer, but was convinced to go, to be a role model for women in the field. Alex Eskin, a mathematician at the University of Chicago, and her co-author on the magic wand theorem, said that she was an optimist and had an infectious personality and it kept them going, else he would have given up a long while earlier. When there were setbacks, Eskin says, Maryam never panicked but persisted in doing this seminal work. In her work too, she crossed silos by combining ideas from complex analysis, differential geometry, and dynamical systems to make breakthroughs. As scientists, we always feel inspired when we hear of Gauss’s story of adding numbers 1 to 100 and we marvel at the beauty and elegance of it and often wish we could get such insights. Maryam’s first encounter with mathematics was this fascinatingly beautiful solution and she always hoped that she too could create such elegant solutions. And she went on to create beautiful milestones in the field, so much so that she is the lone female winner of the Prestigious Fields Medal. She challenged herself with dynamics and geometry when her advisor won the Fields Medal for working in space with genus 2. She expanded the work to include any number of variants, which was almost impossible for most people to visualise, let alone even attempt a solution. She said of mathematics “It is fun — it’s like solving a puzzle or connecting the dots in a detective case.” Her research interests were Teichmüller Theory and Ergodic Theory. 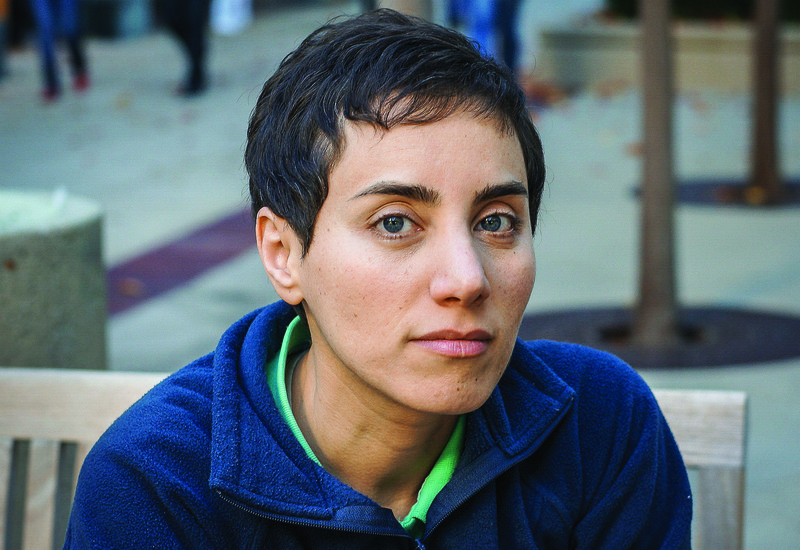 Dr Mirzakhani also contributed to the theory of moduli spaces of Riemann surfaces. On Oct 7, 2017, Dr Mirzakhani was to be inducted in the American academy of arts and sciences, one of the country’s oldest and most prestigious honorary learned societies. Whom the gods love, die young. But Dr Mirzakhani’s work was admired by us mortals too, and we would have wished her here amidst us for more inspirational and path-breaking work. Her ideas and work will live forever and science hasn’t yet found the innumerable implications this would have on many things that impact us. Some have likened her work to that of calculus and claim that this will be taught in textbooks in a number of years. Her work could have an impact on how the universe began, engineering, material science and cryptography and prime numbers in mathematics. Though her work was abstraction, applications in the security field have already been implemented.